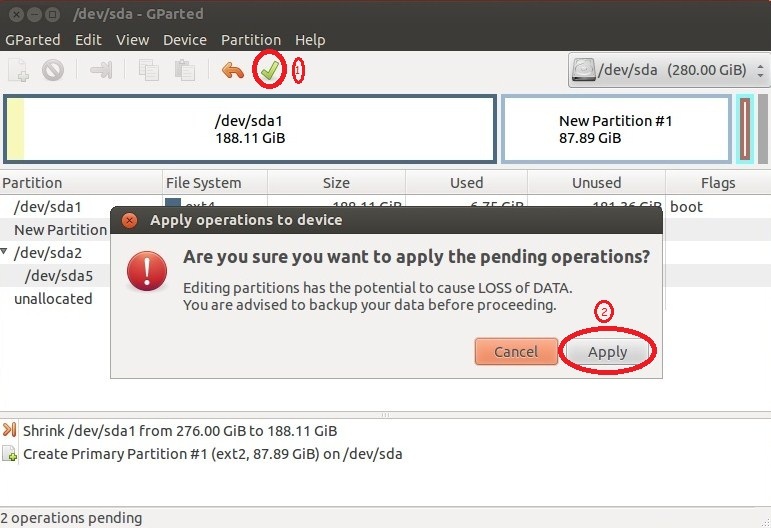 I came from Windows world and always think that if we want to reinstall the windows then we only need to format the C drive while data in other drives survive(e.g. 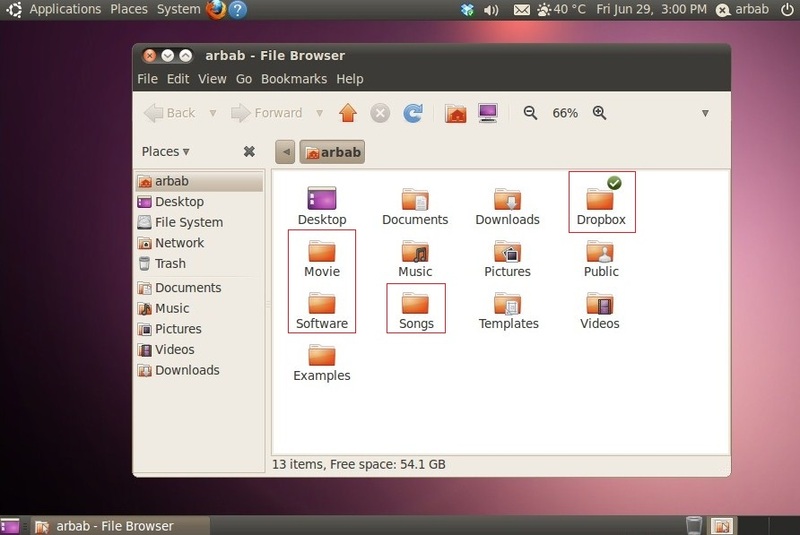 Documents, Software etc.) 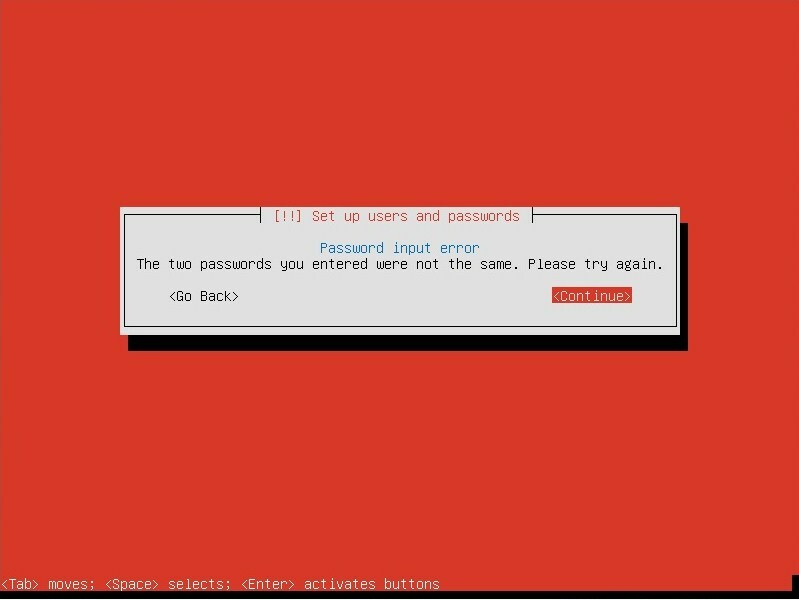 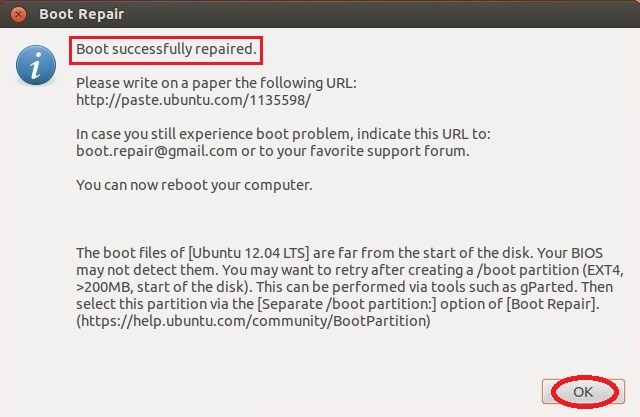 but if we reinstall the Linux, then all of our data erased(If we used default partition scheme). 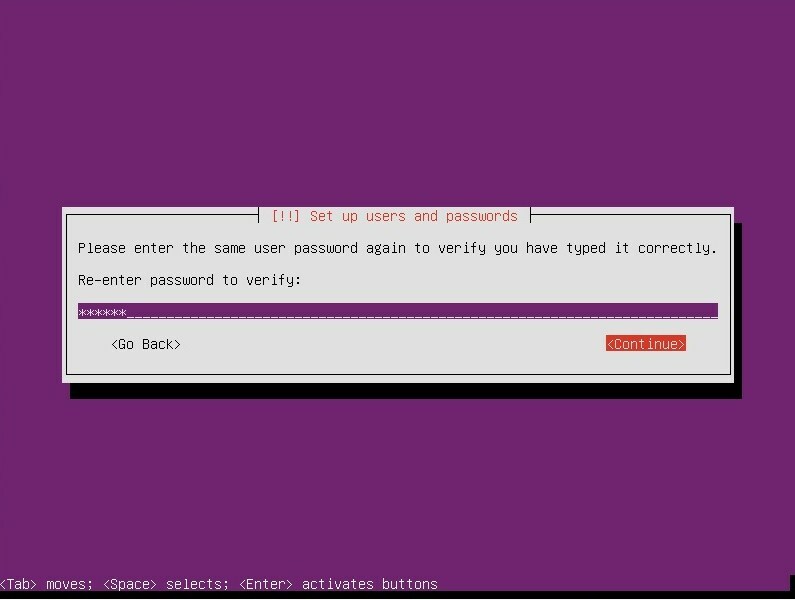 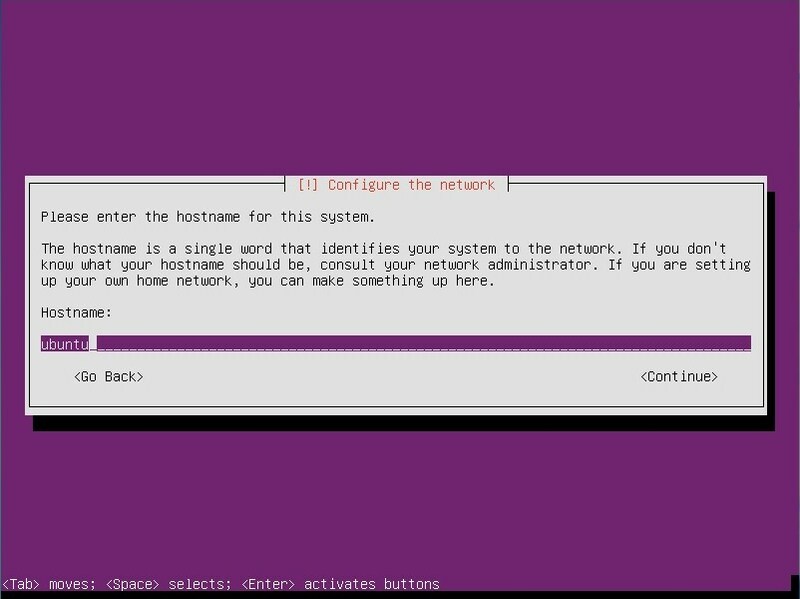 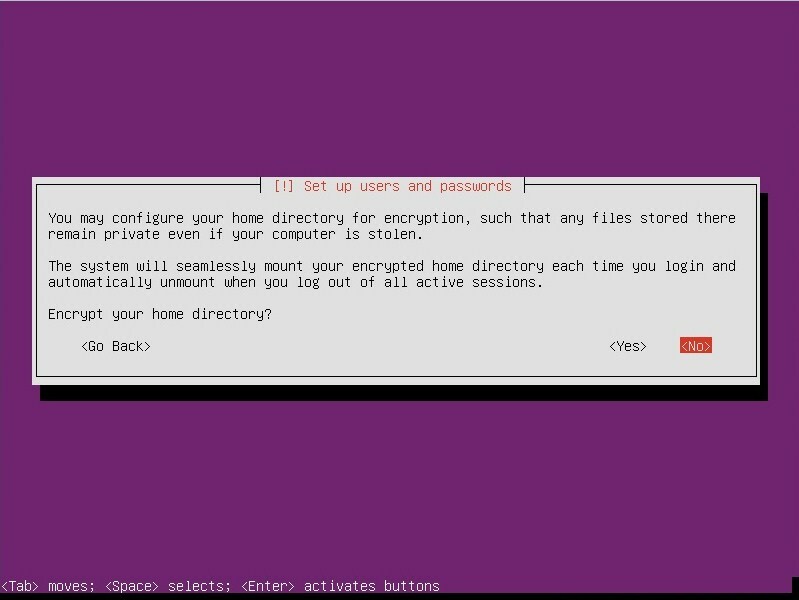 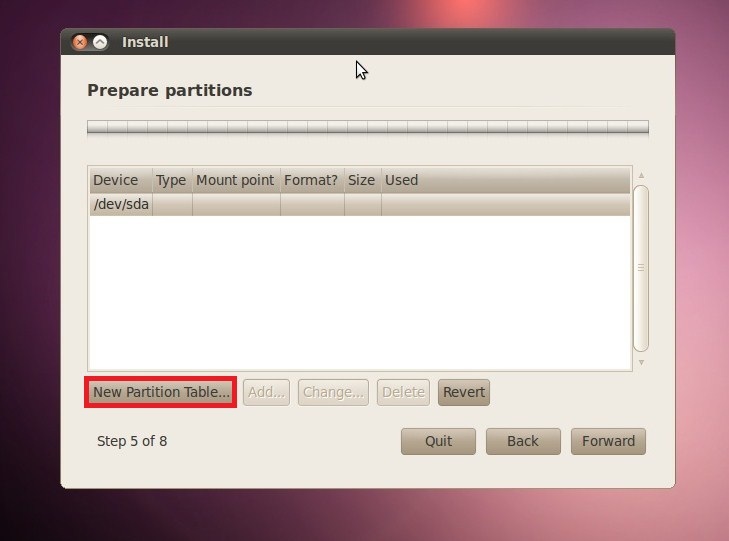 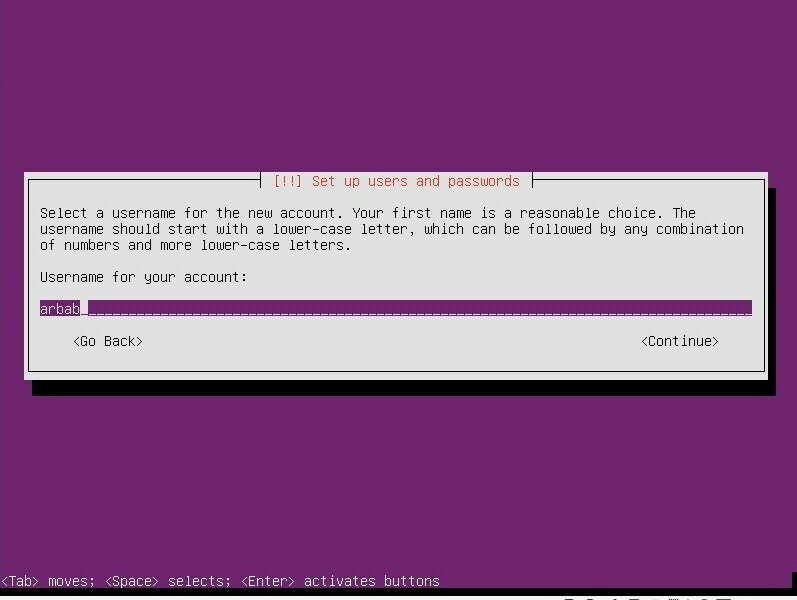 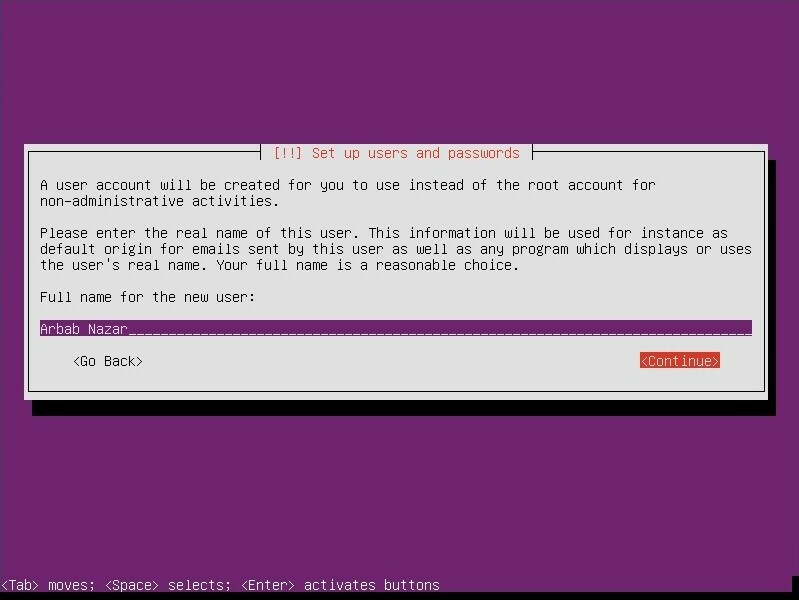 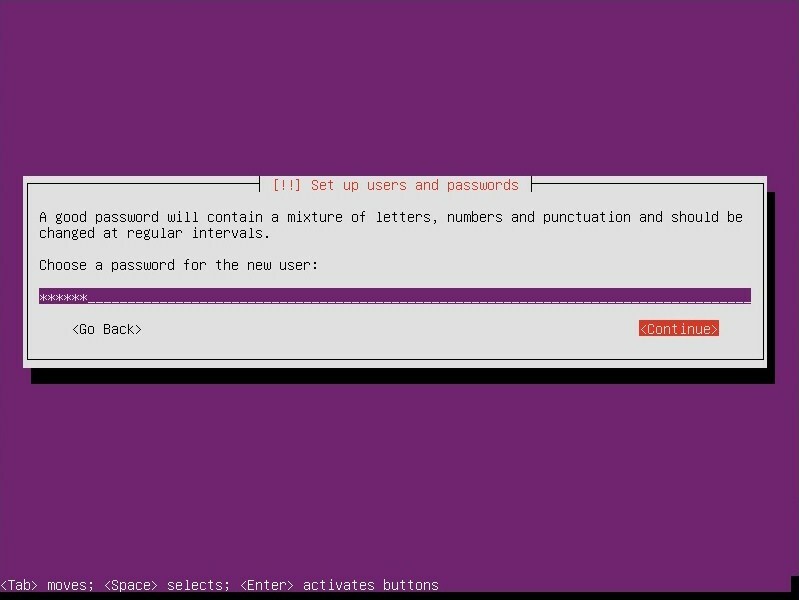 In this tutorial, I will create separate home partition for my personal data and also want to make sure that it will survive during the clean installation of Linux. 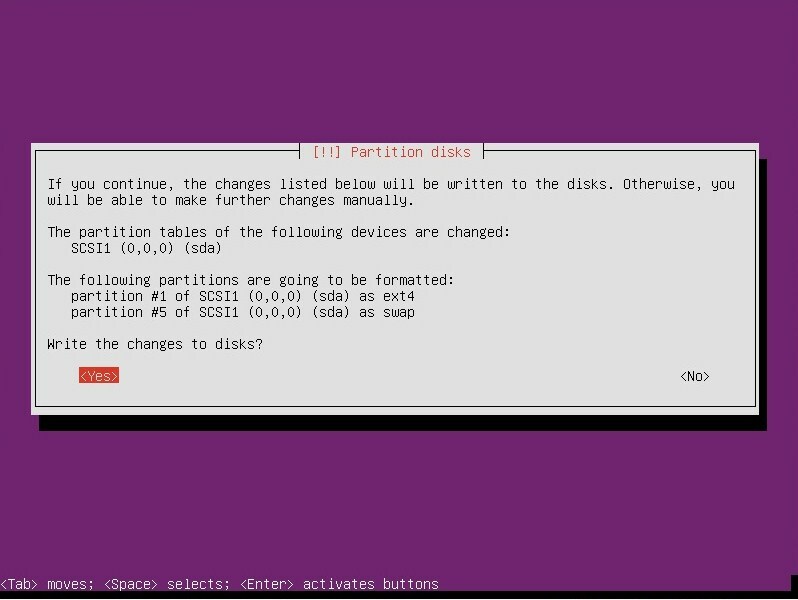 Note: I skipped the couple of steps until reach to the partition page. 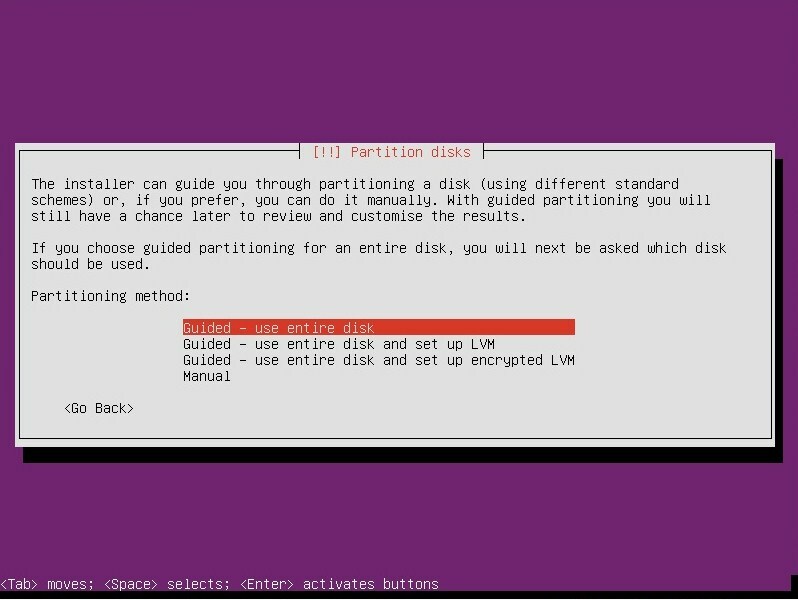 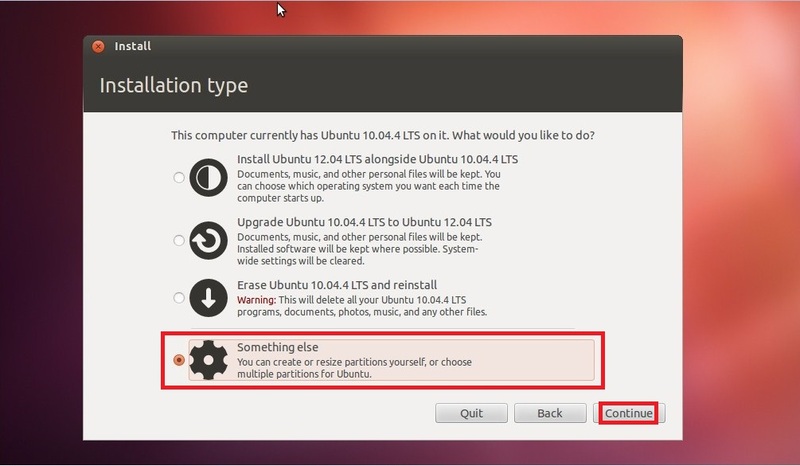 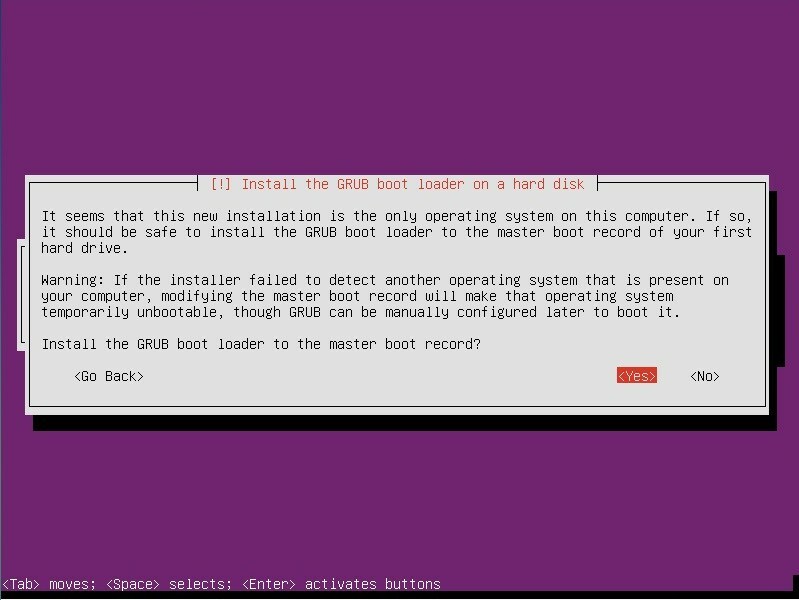 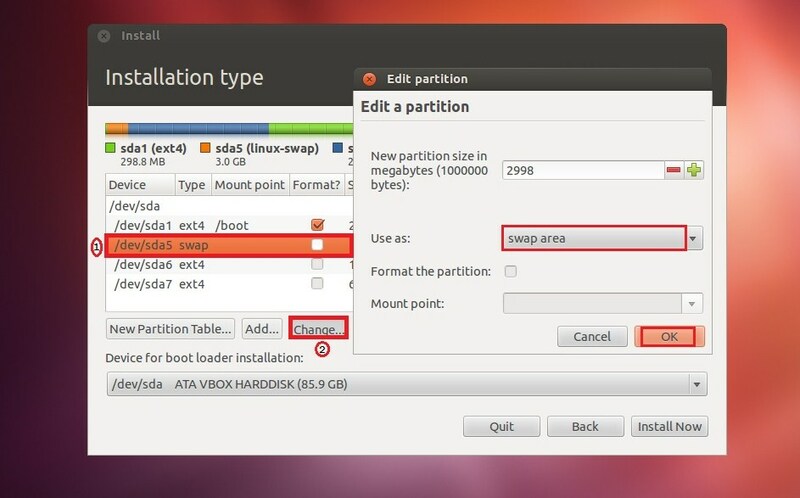 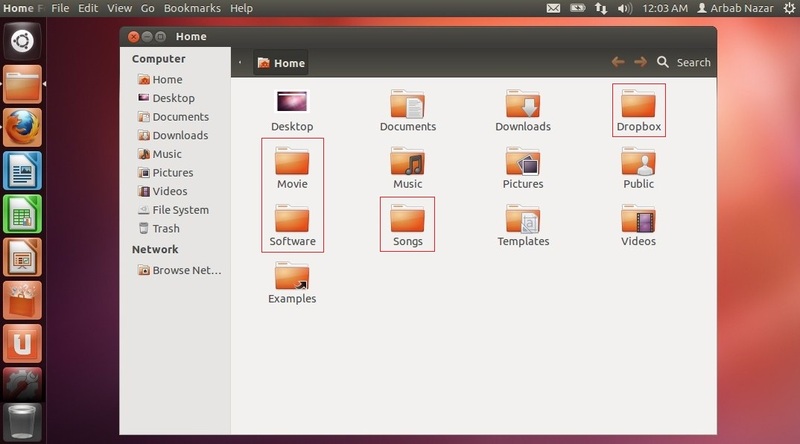 As per recommendation, the first partition should be mounted at /boot, because Ubuntu is the solo OS on this disk then installer will create the first partition as a primary partition (300 MB space is sufficient for this partition). 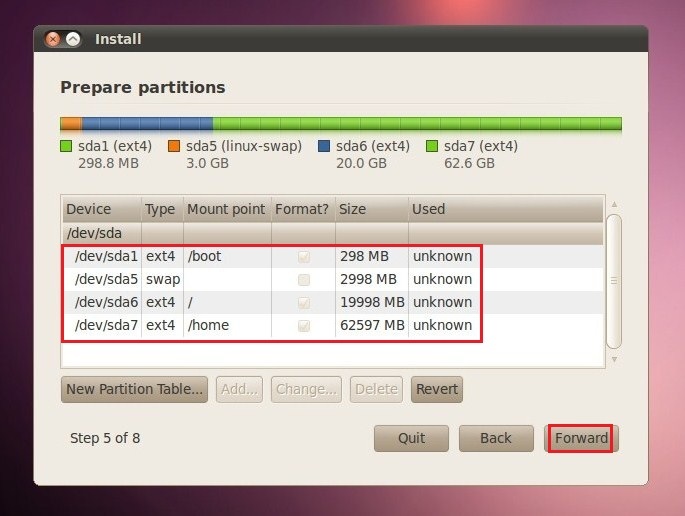 The second partition will be for Swap, which should be a little larger than the amount of ram you have (double than your ram is recommended). 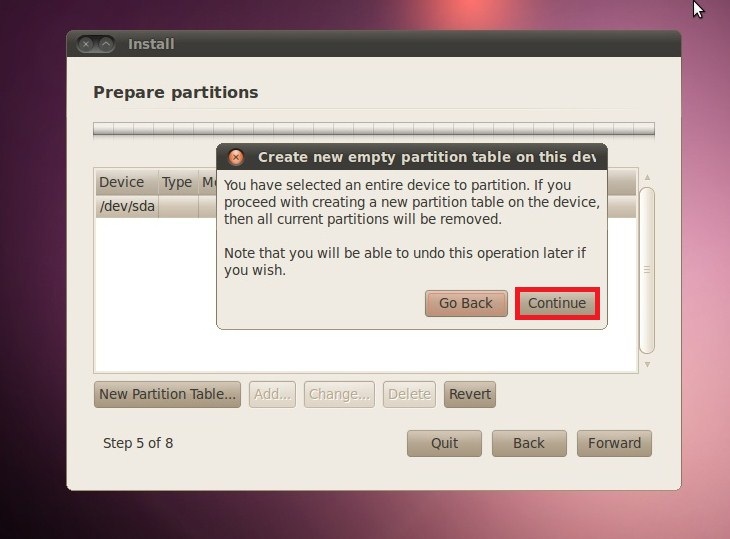 The third partition will be for /. 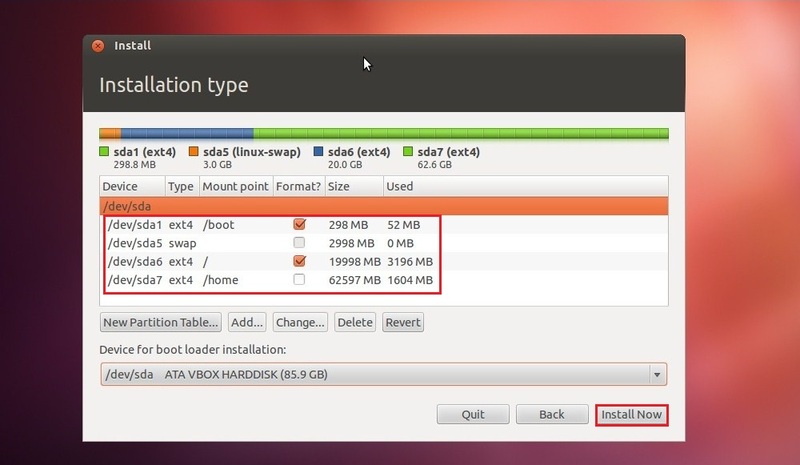 The installer recommends ~4.0 GB of disk space for installing Ubuntu 10.04, but assign more, if you are installing a lot of applications(~ 20 to 50GB). 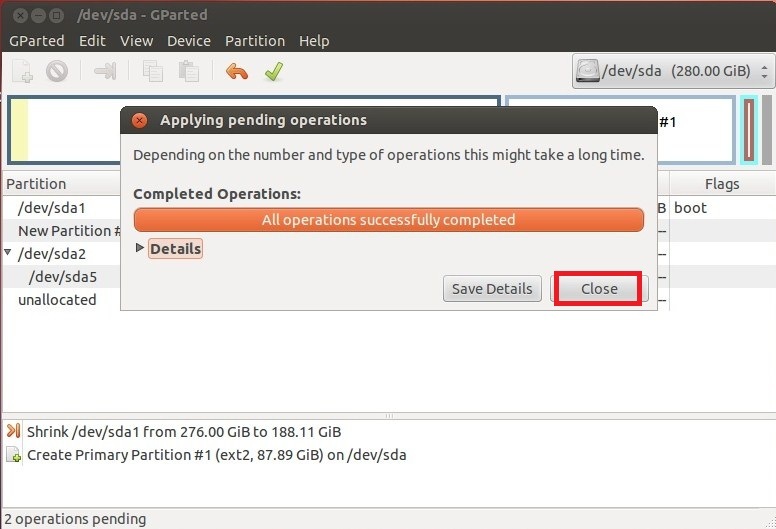 The last partition will be for /home and you may use all the available disk space. Suppose,I used this laptop about 1 year and create some folders which contain my data at /home. 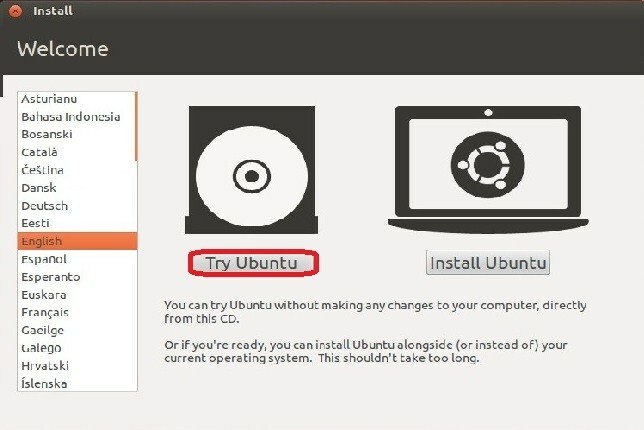 Meanwhile, Ubuntu 12.04 LTS released and I want to updated my laptop from Ubuntu 10.04 to 12.04 but want to make sure that all the data in my home partition will be survived. 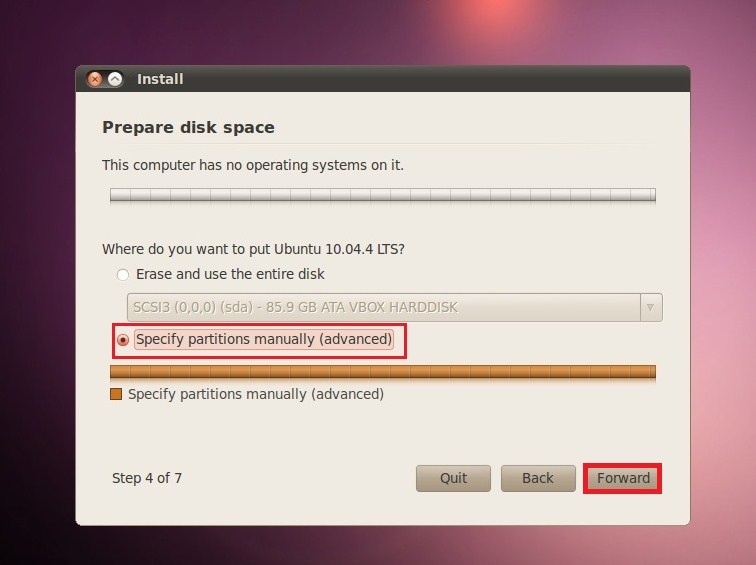 As we already follow the recommended partition scheme 1 year ago when we created the partitions on our new hard disk. 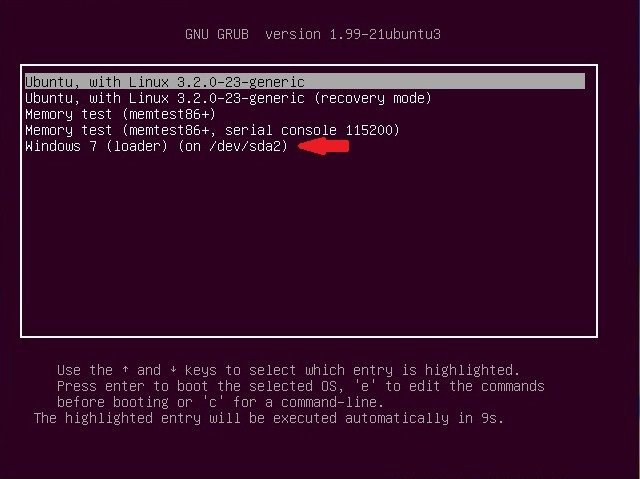 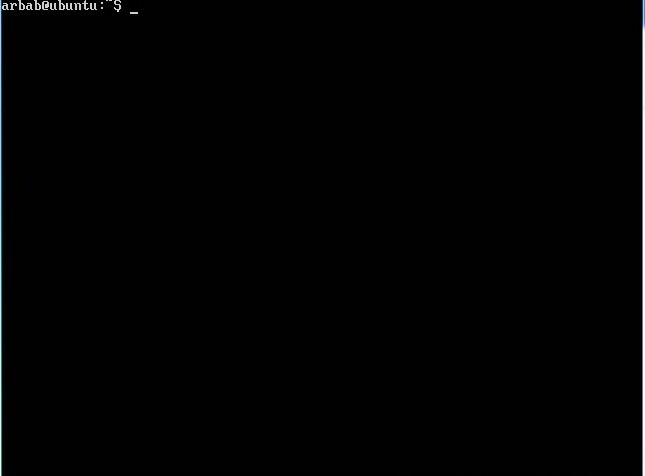 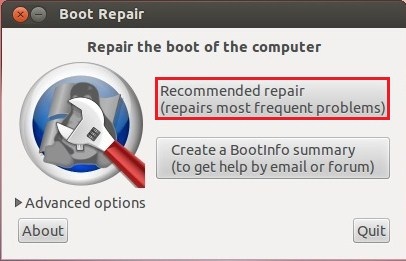 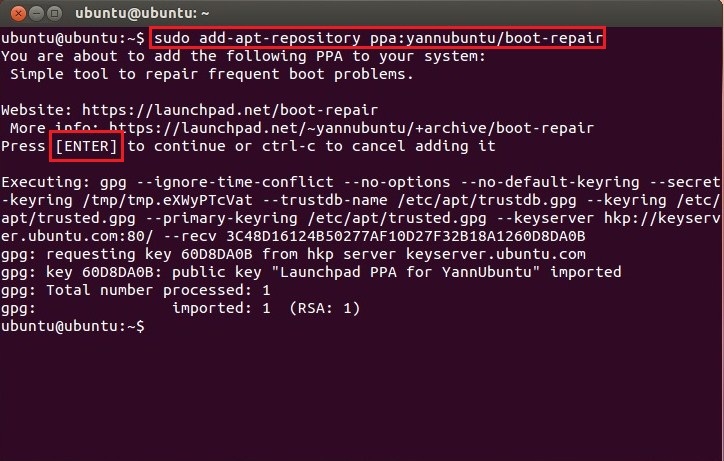 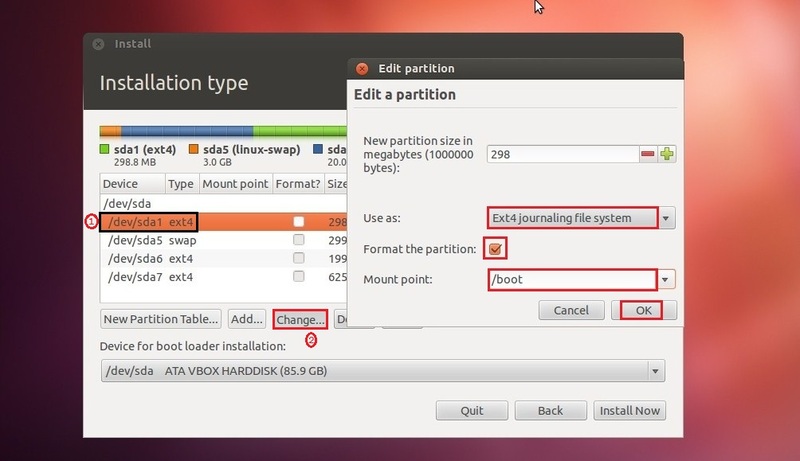 Choose the /boot partition(How I know that, it’s boot partition? 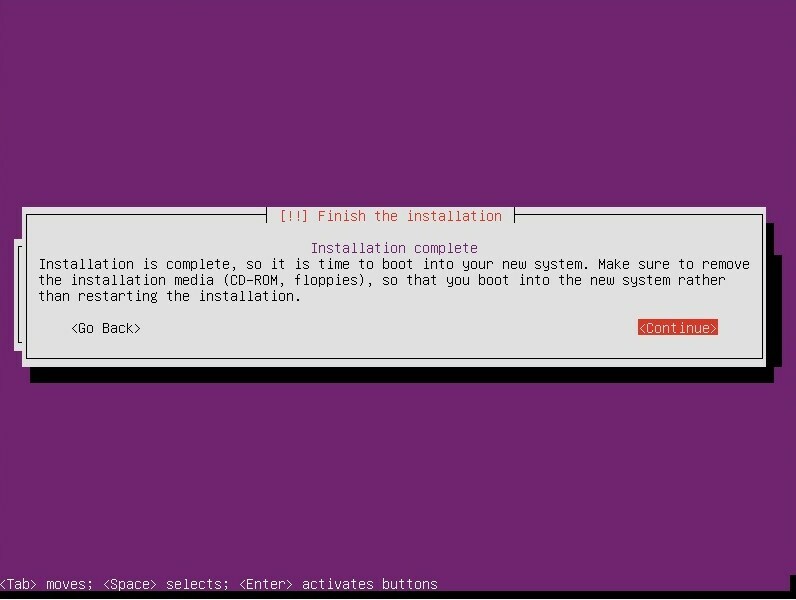 Well we know that we created it ~300MB) then click on Change, specify the file system, select format and set the mount point as /boot. 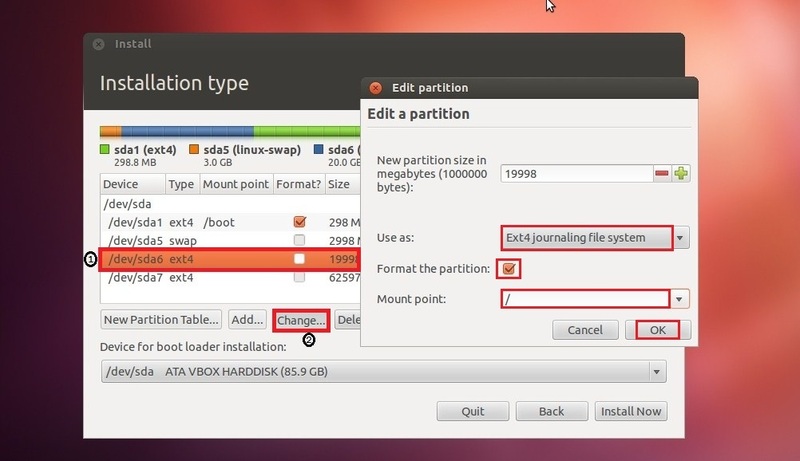 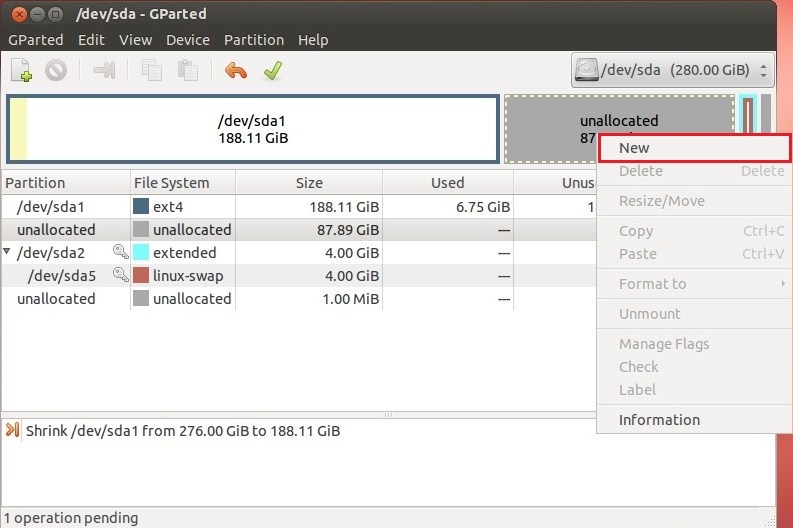 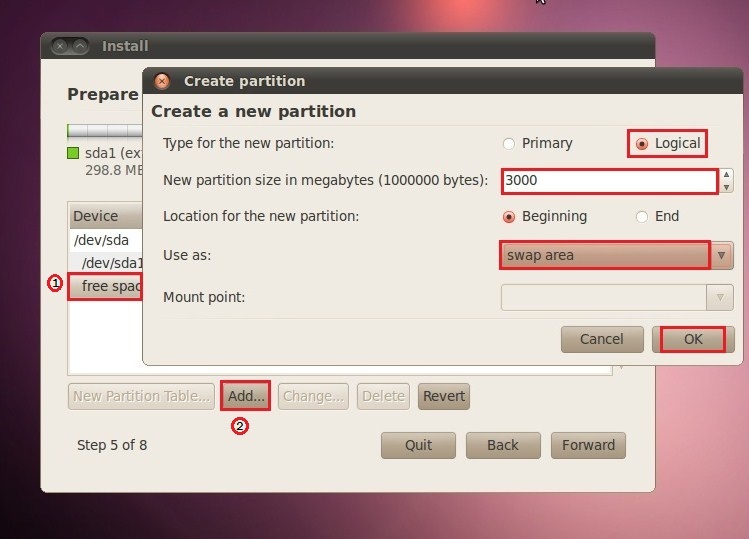 Choose the Swap partition then click on Change and specify the file system as Swap. 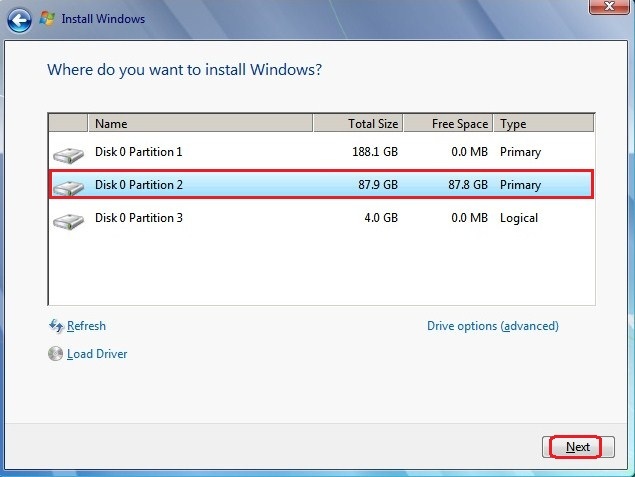 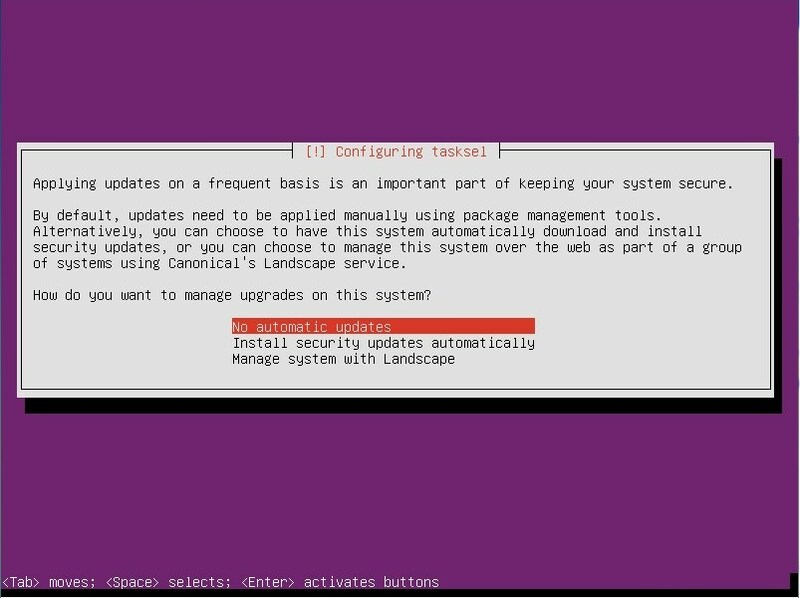 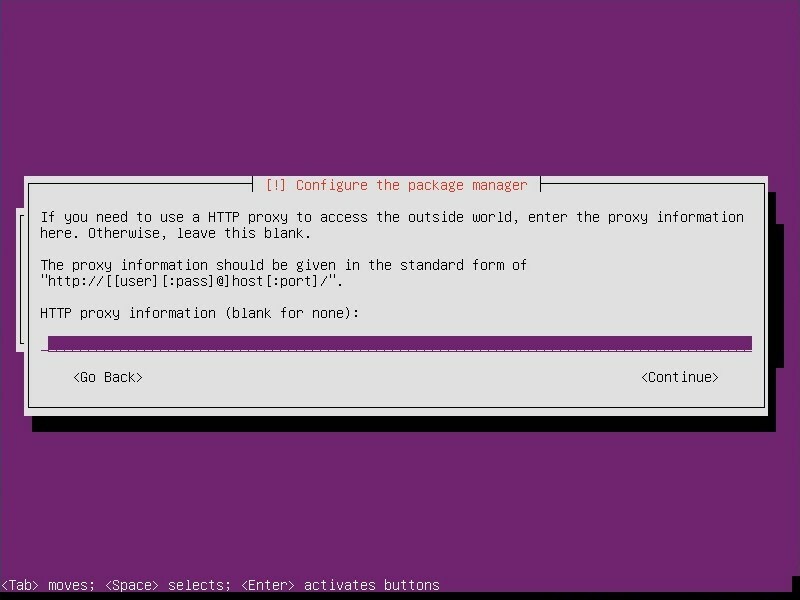 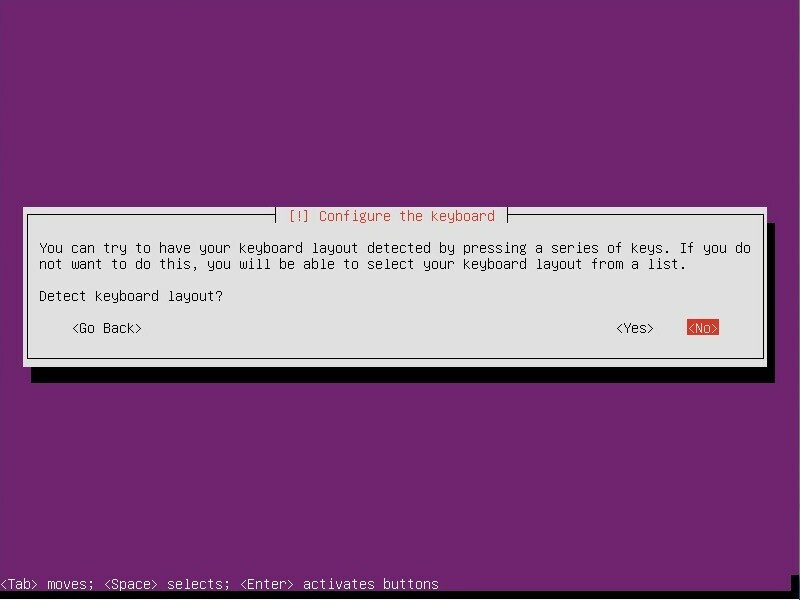 Next choose the / partition then click on Change, specify the file system, select format and set the mount point as /. 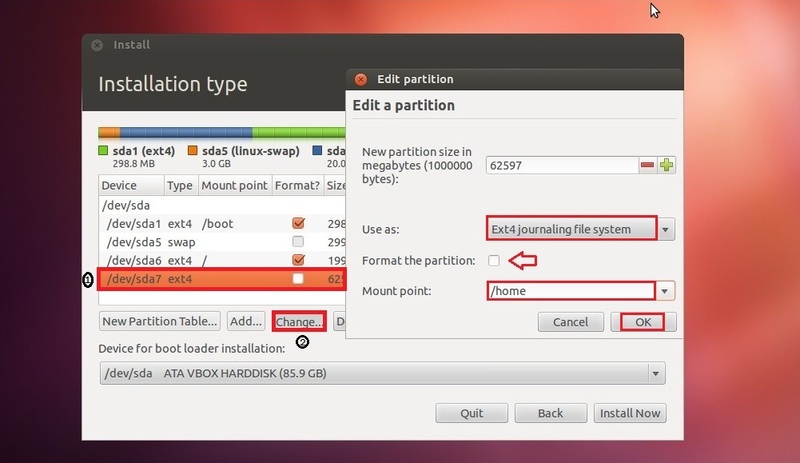 Now choose the /home partition then click on Change, specify the file system, DO NOT SELECT format and set the mount point as /home. 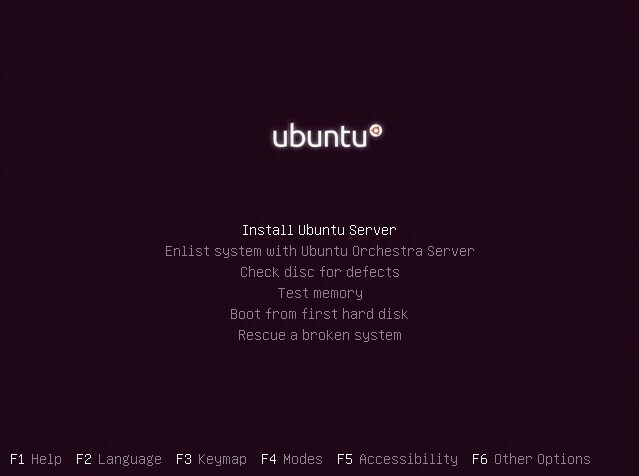 After the fresh installation of Ubuntu 12.04, I still have all of my old data (if you don’t have your old data then please don’t blame me).